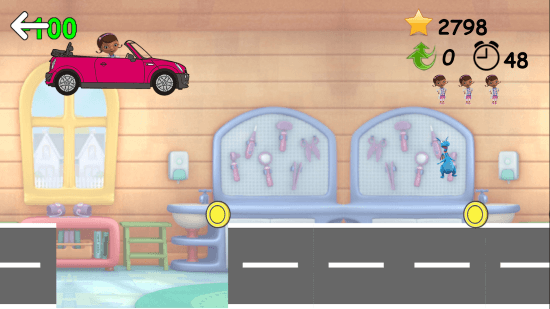 Doc McStuffins Crazy Car is a free adventure game for Windows 8 and 8.1 computers. Doc McStuffins needs to go to her hospital as soon as possible. There are a lot of obstacles in her way, and she can’t be late for work. Help her out through the road from the obstacles. 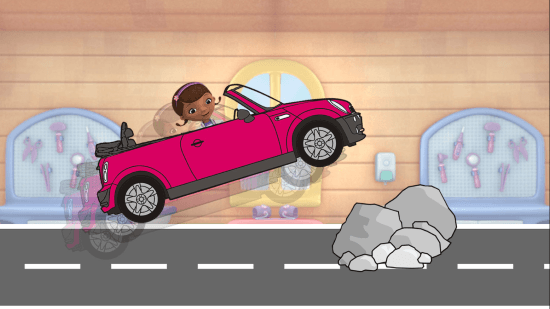 Do not forget that Doc McStuffins has a crazy car, it can not only run on roads, but it can also jump. So, what are you waiting for? Go, help her out. This is a very light adventure game for Windows 8. With a size of 5.18 MB, it takes very less space on your computer. Go to Windows App Store and search for the game’s name. You can also follow the download link at the end of the article. Click Install on the game home page to download and install automatically. It is one of the simplest games to play, but its really exciting as well. There are various obstacles scattered on the road. 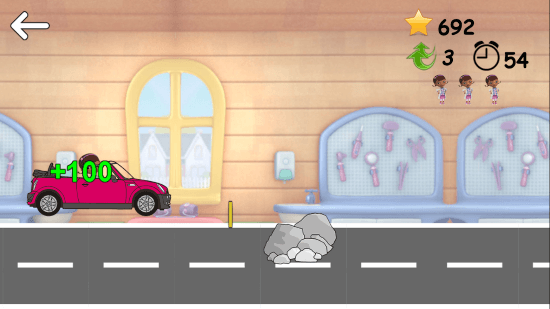 You will find rocks, road blocks, and crazy creatures while you play. You have to jump over those obstacles to reach your destination. The difficulty level increases as you move higher through the levels. There are 30 crazy levels to play from. 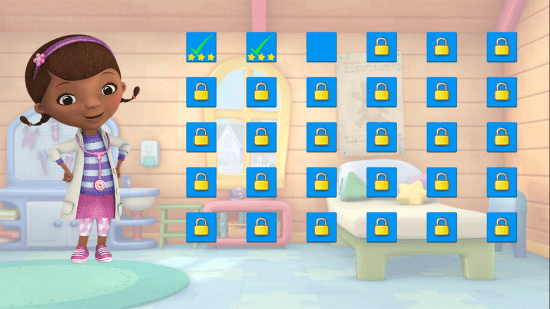 You get to begin from the first level, as other levels are locked. Play a level to unlock the next one. The controls of this adventure game for Windows 8 are really easy. All you have to do is click your mouse to jump over obstacles. Either you have to jump to avoid an obstacle, or jump to collect extra points. Points are available in form of coins and other bonus points. Collect as many points as possible. Whenever you hit an obstacle, points are reduced from the gained points. As you advance, you will also find roads with gaps. Jump over the gaps to save Doc’s life. The game gives you three lives. Whenever you hit a rock, or fall in the gap, you loose a life. You can also collect life while playing as it appears randomly. At the end of every level, your score is displayed with the number of life you have. This adventure game for Windows 8 is a fun to play game. Although it looks easy to play, but is actually difficult to play. 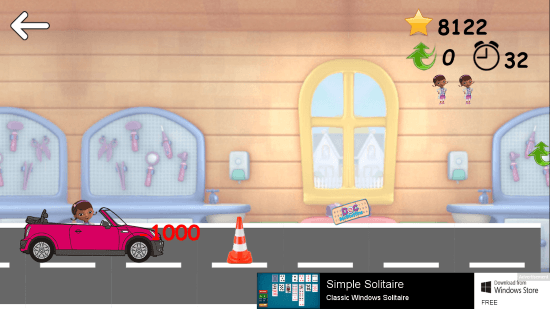 Download Doc McStuffins Crazy Car for Windows 8 and 8.1 computers.